Welcome to the Jacobs Law Firm!!! As the managing partner of the Jacobs Law Firm, Clermont divorce Attorneys and Orlando divorce Attorneys, Jonathan Jacobs is available to work nights and weekends to ensure that your case is handled with the skill and dedication necessary to achieve the best possible outcome for you. Your case will receive the time and attention it needs for you to achieve a successful resolution. Clients will be able to consult directly with Attorney Jacobs on important legal matters, and address their concerns by scheduling an appointment to speak with him at a time that is convenient for them. It is important that your lawyer is available for you when you need him. You may reach the Jacobs Law Firm by calling (407) 310-5636. After hiring Attorney Jacobs, you may text message, call, or e-mail him for updates on your case. Some people prefer a more personal approach, while others are more technology driven in their communications. We achieve both by making ourselves available on all reasonable media platforms. Clermont divorce Attorney, and Orlando divorce attorney Jacobs will devote a generous amount of time to ensure your success. Please also feel free to E-mail us with questions and information on your case. When contacting us, please be sure to include your name, phone number, and a brief outline of your legal issues. Does Attorney Jacobs Represent Clients Beyond Orange County and Lake County? Attorney Jacobs will do his best to represent you wherever you may be located. Primarily, the Jacobs Law Firm litigates cases in Orange, Osceola, Seminole and Lake County. If you need an attorney in Sumter County, Volusia County,, Hillsborough County, or beyond we will gladly travel there for you. If you prefer to have someone located in your immediate area, we can also refer you to a colleague whom we trust to provide you with expert legal help. 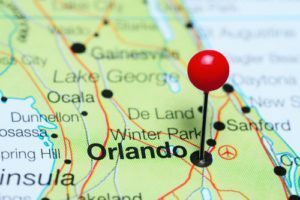 Is the Jacobs Law Firm only Focused on Clermont Divorce Attorneys and Orlando Divorce Attorneys? Great question, and one that is challenging to answer. If you have had a great experience working with Attorney Jacobs, he will likely perform the research necessary to help you with a unique case to ensure you can work with a lawyer whom you trust to resolve your issues with professionalism and expertise. Often, clients that have a family law case will want help with preparing a will, or creating a trust. Clients involved in personal injury cases may need help with starting a business or another really important area of law. 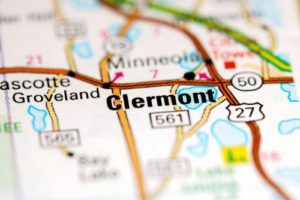 As your Clermont Florida Attorney, and Orlando Florida Attorney, Attorney Jacobs provides the legal help you need, and he always aspires to be the lawyer you trust.